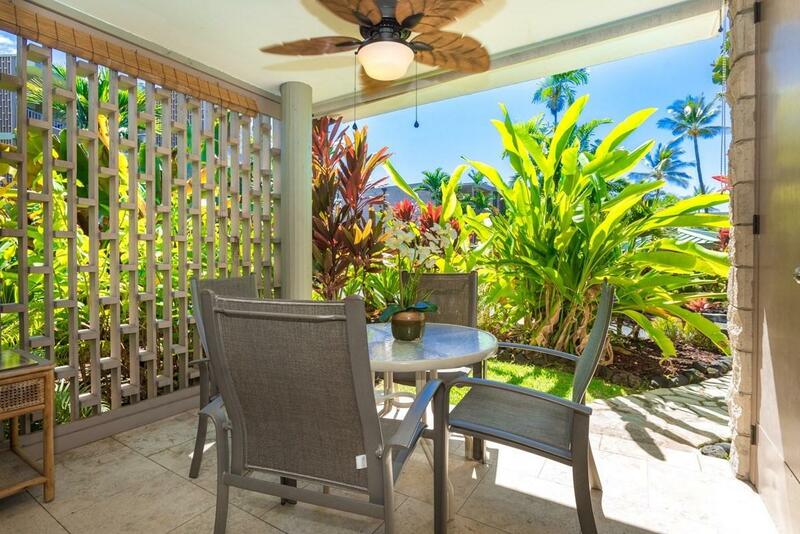 Lovely furnished one bedroom end unit at Alii Villas. 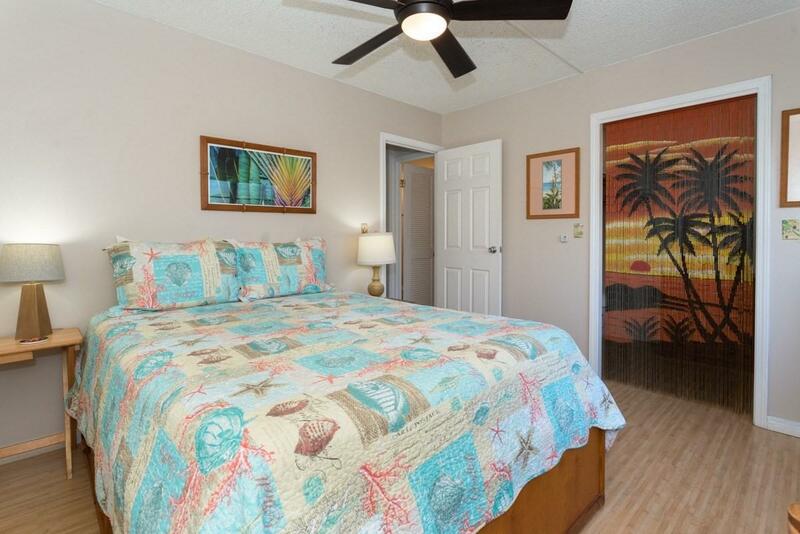 Partly ADA upgrades in this unit make it a nearly 100% booked vacation rental. partial kitchen counter tops lowered. No step entry. Great Garden setting especially on Lanai. Near but not next to pool and BBQ area. 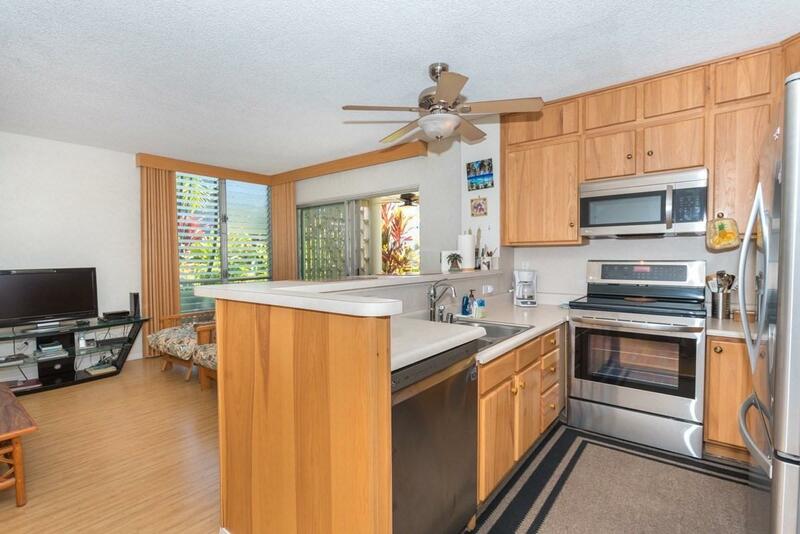 Upgraded kitchen coupled with V-1,25 zoning makes this property suitable to vacation rent or reside in. Sold with bookings in place. A cat or small dog allowed with board approval. Well maintained complex with solar for common area electric and solar heating swimming pool. 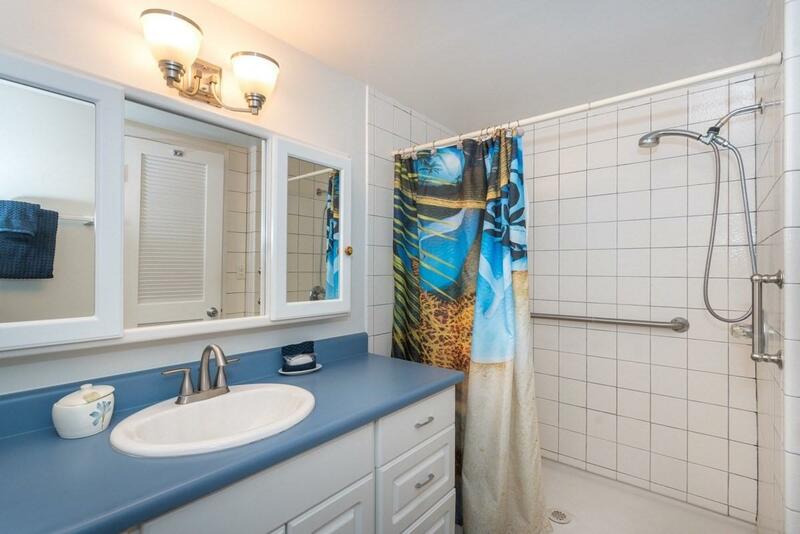 Property even has seasonal ocean access. A fun location to watch the dolphins year round and whales in season. Located in the makai (seaward end) of the first building upon entry. Unit could be adapted to resident in wheelchair. Lanai accesses the common garden area with a small 1/3 step-down. Low HOA monthly Fees.